Four more Christians received lengthy jail sentences in Iran last week, it has emerged, taking the total number sentenced in the last month to 12. Yasser Mossayebzadeh, Saheb Fadaie, Mohammad Reza Omidi and Youcef Nadarkhani were each sentenced to ten years in prison. Omidi and Nadarkhani – a pastor who previously served almost three years for apostasy, a charge for which he once faced the death sentence before his release in 2012 – were also sentenced to two years in exile in southern Iran, the opposite side of the country to where their families live. They received their verdicts (dated 24 June) on 6 July, following a hearing on 14 June. They were each found guilty of “actions against national security”, according to Christian Solidarity Worldwide, which reports that a judge accused their church of receiving £500,000 a year from the British government. Middle East Concerns says they were convicted of “propagating house-churches” and “promoting Zionist Christianity”. Their lawyers have 20 days to appeal and are expected to do so. 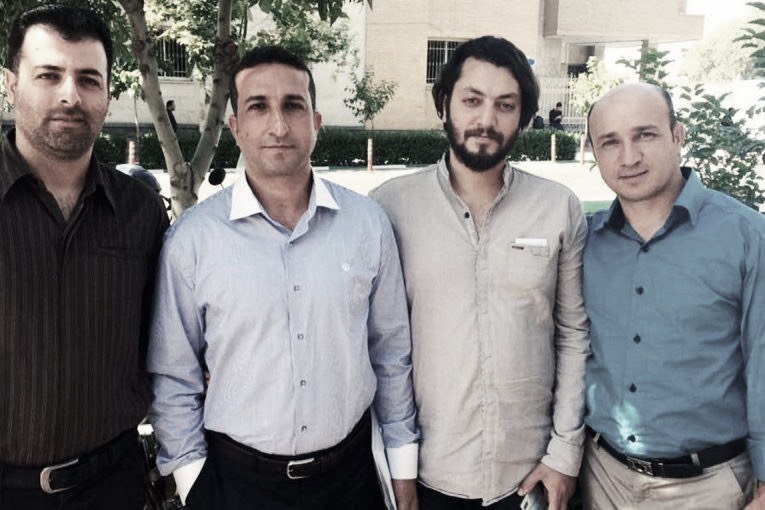 The four were initially arrested in May 2016 in the northern city of Rasht, near the Caspian Sea. In October 2016, as part of a separate case, Mossayebzadeh, Fadaie and Omidi were sentenced to 80 lashes each for drinking alcohol (wine) during Holy Communion. (Non-Muslims are permitted to drink alcohol in Iran, but leaving Islam is forbidden, so Iranians cannot be recognised as ‘non-Muslims’.) They are still awaiting the outcome of their appeal against that verdict. It is the second time Omidi has been convicted of drinking alcohol. A third conviction could lead to his execution. The sentencing of the Rasht Christians took place the day after four Iranians in Tehran received similarly long jail terms, and just a few weeks after one Iranian and three Azerbaijanis suffered the same fate. Only yesterday (11 July), World Watch Monitor reported that Amin Afshar-Naderi, who was sentenced to 15 years, has written a letter to the Iranian authorities, asking “what have I done to make you hate me so much?” and threatening to end his life by refusing to eat. Why so many, and why now? Mansour Borji, from human-rights group Article 18, says the rash of sentences in such a short period of time – in cases that have been going on for weeks, months and in some cases years – shows the Iranian authorities’ “fear” at the growth of Christianity in the country. “It could be interpreted as a sign that they want to send a message to the Iranian Christians inside the country, and perhaps also to the wider world,” Borji told World Watch Monitor. He added that it is “worrying” that despite the re-election of the “moderate” Hassan Rouhani and his majority-reformist government, “we still see the same treatment of Christians: intolerance and unprecedented sentencing on unfounded charges”. Christian Solidarity Worldwide’s Mervyn Thomas said the latest convictions “on spurious charges” are “clearly part of an intensified campaign of judicial harassment aimed at intimidating members of minority faiths”.